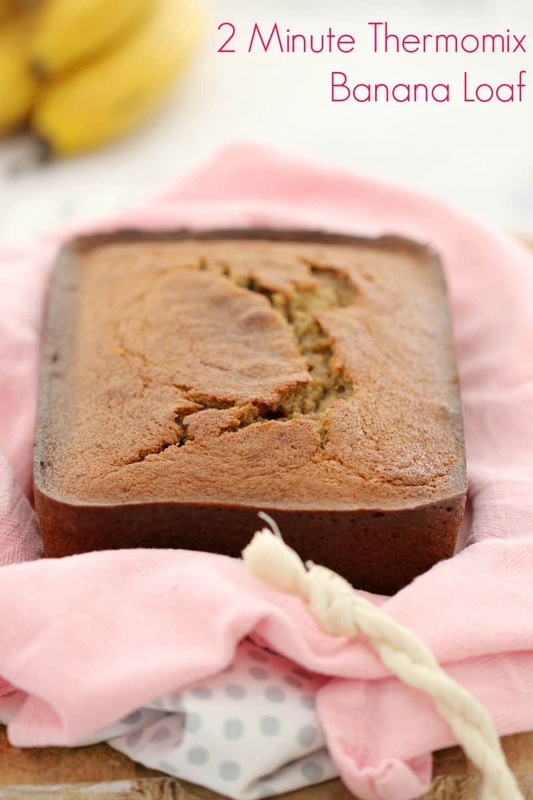 If you’re after a quick and easy Thermomix Banana Loaf recipe, this is the one for you! 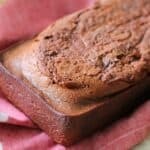 It’s so simple and uses just a few very basic ingredients – gotta love that! Oh and it’s mixed together in less than 2 minutes. How good is that! 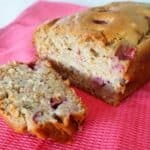 To make this banana loaf you simply cream the butter and sugar together. 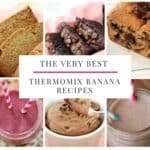 Add in the bananas and mix well. Add the eggs and mix for a couple more seconds. Finally add the remaining ingredients and mix again. Then pour the mixture into a well-greased loaf tin and you’re set! Easy peasy! 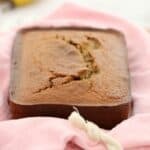 We love to eat this banana loaf toasted with a little butter, peanut butter or honey, but it is absolutely beautiful on it’s own. 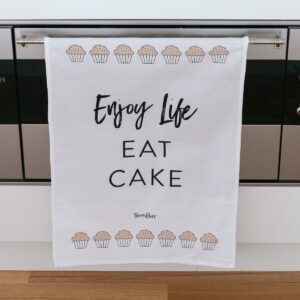 It also makes the perfect thing for a breakfast on the go. 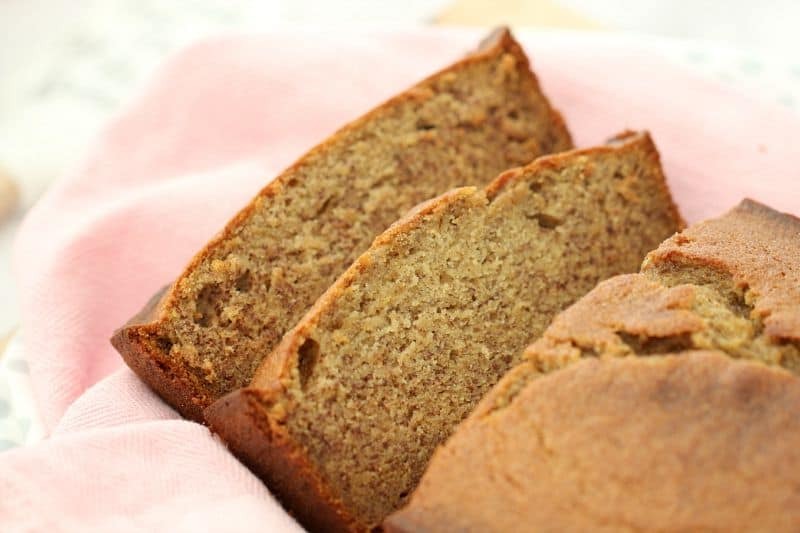 Are you a banana loaf fan too? 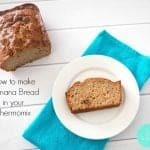 This perfect Thermomix Banana Loaf takes less than to 2 minutes to make. Preheat oven to 170 degrees celsius (160 if using fan-forced). Grease a loaf tin well (if you're not using a non-stick loaf pan, you may also want to line it with baking paper). Place the softened butter and brown sugar into the TM bowl. Mix for 20 seconds, Speed 4. Scrape down the sides of the bowl and repeat for a further 20 seconds. Add the bananas and mix for 5 seconds, Speed 5. Scrape down the sides of the bowl. Add the eggs and mix for 5 seconds, Speed 5. Add the plain flour, bi-carb soda, salt and vanilla extract and mix for 5 seconds, Speed 5. Scrape down the sides of the bowl and repeat for a further 5 seconds. Pour the mixture into the prepared tin. Cook for 1 hour or until a skewer inserted into the middle comes out clean or with a few crumbs. 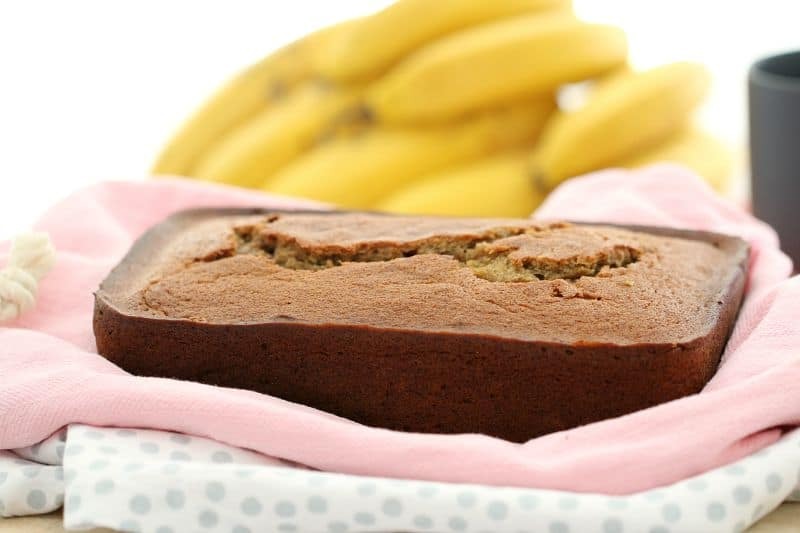 * If you notice the banana loaf over-browning during cooking time, simply cover with foil and continue cooking. I’ve made this cake twice and both times its come out very dense. The skewer comes out clean. 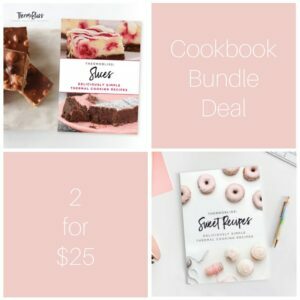 Is there to much sugar?